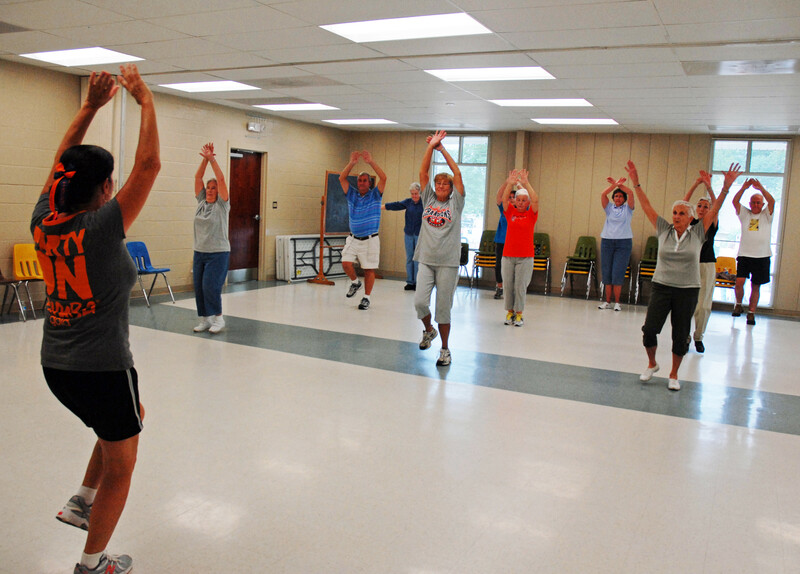 The Parks and Recreation Department offers several fitness classes and groups to those age 50 and above. Many of them are free or low cost. 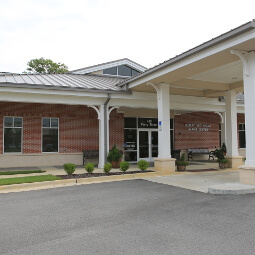 You can register for classes at the Harris Center Monday through Friday 8am - 5pm. Cognitive fitness is a primary concern among adults over the age of 50. The Total Brian Health (TBH) Brain Workout teaches lifestyle choices that support cognitive vitality. Grounded in science, smart and engaging group workshops train the brain using a social based brain training model. Effective wellness interventions challenge engagement across the body, mind and spirit. This class is hands-on and encourages participants to work together to practice cognitive enhancement strategies that help boost processing speeds, reasoning, attention and memory skills. Limited to 20 participants. FREE to the public. Move to music and have fun while exercising to increase muscle strength, range of movement, and activities for daily living. Hand-held weights, bands, and a ball is used for resistance. A chair is used for seated exercises and standing support. FREE to the public. Students will start with simple warm-ups and progress to study various styles of dance, learning specific steps and then following in a sequence of arranged patterns using the movement vocabulary taught, varying the patterns in different orders. This class is low-impact, encouraging balance, coordination and focus. We will pay careful attention to moving safely, and teaching so that the movement is understood. For more information, please contact the instructor. Maximum of 12 students per class. $10/class. Payable to INST first day of class. A time honored mind body practice from China, tai chi is recognized as an effective way to improve posture, balance and awareness, to reduce chronic pain and stress and to help reduce the risk of falls. The principles underlying this gentle movement practice are what make it so effective and can be incorporated into everyday activities. Dr. Paul Lam's Tai Chi for Health programs form the basis of this class which will be an introduction to Tai Chi. Instructors are certified with Tai Chi for Health. Limited to 25 participants. FREE to the public. A time honored mind body practice from China, tai chi is recognized as an effective way to improve posture, balance and awareness, to reduce chronic pain and stress and to help reduce the risk of falls. The principles underlying this gentle movement practice are what make it so effective and can be incorporated into everyday activities. Dr. Paul Lam's Tai Chi for Health programs form the basis of this class. This class will go beyond the basics and additional materials will be available to participants. Those who register for this class may attend the free Thursday class at the Harris Center for practice. Instructors are certified with Tai Chi for Health. Limited to 15 participants. $5/class. Payable to INST first day of class. Zumba Gold was designed for the older active adult, a person who hasn't been exercising in a long time or individuals who may be limited physically. The biggest difference between Zumba Gold and Zumba basic is that Zumba Gold is done at a much lower intensity. It's just as much fun, just not as fast! Zumba Gold utilizes the same great Latin styles of music and dance that are used in the Zumba basic program, including the Salsa, Cha-Cha, Rock ‘n Roll and Merengue. The Zumba Gold program strives to improve balance, strength, flexibility and most importantly, the heart. When you take the Zumba Gold class, be sure to wear comfortable workout clothing, take water and a towel, along with a "ready to party" attitude! FREE to the public. Zumba movements are designed to mimic many typical Latin dance styles like salsa, rumba, and cumbia. Although traditionally many of these dances require use of your entire body, they can easily be adapted for people with mobility challenges. Many movements can be done with the upper body from a seated position in a wheelchair. Because so many different styles of music are usually incorporated into typical Zumba classes, participants join into the motions they feel most comfortable with. This class is a great way to strengthen the upper body as well as the lower extremities such as ankles and feet (if able). The class can be taken from your own wheelchair or from a regular chair. Chairs provided.. FREE to the public. This full body movement class will teach you to move strong and smart so you can continue to participate in everyday activities with ease. Educational in nature, this class will emphasize safe ways of moving while improving postural/core stability. Please bring a mat and towel. Hand weights and exercise bands are available. Instructor is an occupational therapist and experienced teacher. Limited to 20 participants. $5/class. Payable to INST first day of class. Yin Yoga is a little different than the "typical" yoga class. It is a more passive yoga class where we learn to relax our muscles in order to improve the health of our joints, ligaments, fascia, and all other connective tissues that normally are not exercised in traditional exercise. Please let the instructor know of any injuries or concerns as she may need to modify a pose to meet your specific needs. Yin Yoga is recommended highly if you are over the age of 35 as it helps to keep the connective tissues, joint, and other aspects of the body in proper alignment and good health as we age. Yin also teaches breathing techniques that help improve mood, sleep, and mobility. This is an all levels class from beginners to advanced. Please bring your own yoga mat and towel. $5/class. Payable to INST on the first day of class.